The Phat Cycle Seawind is like the bike many of us learned to ride on. A comfy seat, wide handlebars and big tires make it feel like you're riding on a cloud. A single speed and coaster brakes add to the simple, retro experience...just get on and ride. To make cruising the boardwalk even more fun, our beach cruisers come in some exciting colors such as pink, turquoise, grape and more. When it's time for some more serious or longer distance biking, our multi-speed Fuji Crosstowns are the answer. A 7-speed twist shifter, hand brakes and more aggressive tires make our multi-speed bikes easy to ride for hours on streets or bike trails. We have bikes for kids of all sizes and riding capabilities. With or without training wheels, hand brakes, gears, etc. We also have options for kids to ride with parents or to get pulled behind a bike. The bicycle built for two. 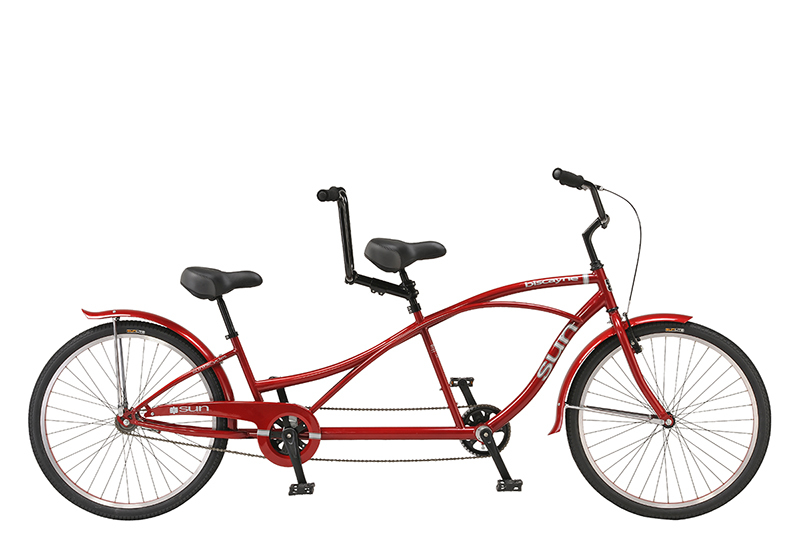 Our tandem bikes are made for simplicity, comfort and ease of riding with a single speed, hand brakes and an upright riding position. Four-wheeled surreys and limos are the iconic mode of transport at the beach for up to six adults and three small kids. Taking family and friends for a ride on a surrey or limo creates fun memories that last a lifetime. Helmets, locks, bells and lights are included with your rental. What else do you need to make your ride more fun...just ask!